Who all is going this year?? I've had too much going on this year so far and haven't got to make any shoots, other than a couple local shoots, and am ready to see some of my Texas friends on the range! I’ll be working registration come say high. You can go ahead and say what you’re thinking Shiloh. “Who all am I gonna beat this year at the TSLC?” I’ll be there. Love this shoot! Since I haven't made 1 shoot this year due to shoulder issues and the shooting Demon I've been fighting for the last 2 years I'll be sitting this year out. Not to mention I haven't had my favorite longbow since August of last year. Might come over Sunday afternoon to watch the awards and visit some. Hoping to go up for Sunday and try and get two rounds in. Maybe someday if I ever get a longbow. Ellis, you can’t do that! This is a 2 day cumulative shoot with a shotgun start, and you have to shoot both days!!! You know I’ll be there!!!! See you there, Mr. Butts. Well, heck. Didn't realize that at all. 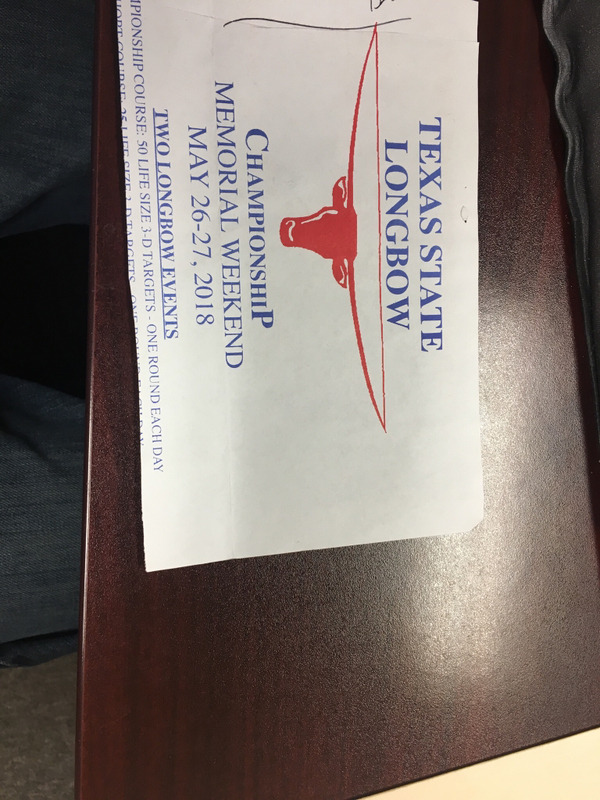 Wonder why it's different than the Recurve Championship. Gotta work Saturday. Thanks for the heads-up, though, to save me the drive. Good luck to you! Guess I missed the flyer on this event. Could someone post a link with info about the event, please? Haha!! If I can see you recreate the face plant from your video the other day, my trip would be made!!!! Dang, hate your still having shoulder issues! Hope you can make it to hang out for a bit! How can the shoot be complete without ARVIN there????? 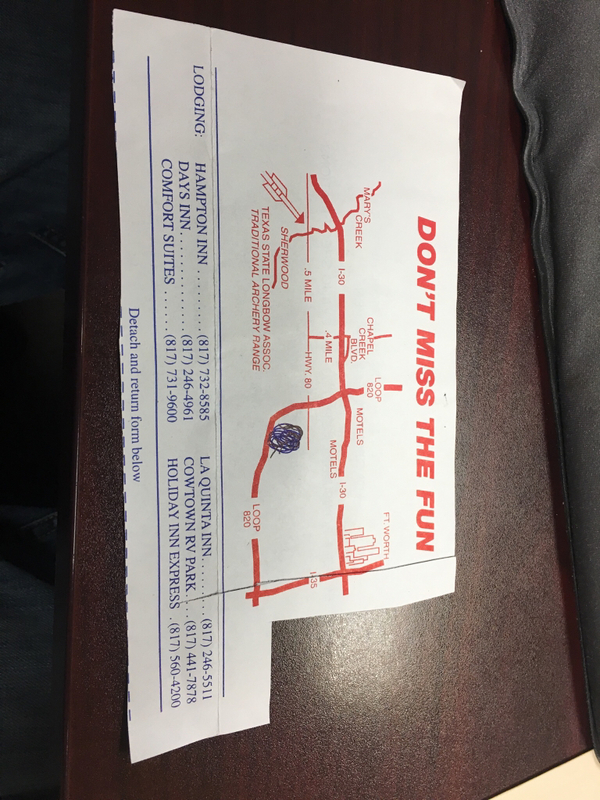 No, I'll see YOU there Mr. Horn! I'll dig around and see if I can find the flyer for this year's shoot and post it if I still have it. Just don't sound like anything I'll ever go to. You are missing out drt it’s one of the best I’ve ever attended or been a part of. It is woods only correct? I don't shoot non center + cut bows well. For me, if I have to fight it, it ain't fun. I'm too old to want to put time and effort into frustrating myself. That's what my kids and business partners are for. I am with you. After double checking I think my bear bow is to high tech anyway. At first I thought it was just the woods that was going to keep me out. Someday maybe . . .
Center shot is usually not a thing to worry about most all bows I have ever owned that were production are cut to have a + measurement. A neutral or negative centershot is usually either a custom order or something like a ilf riser. Even a bow cut to direct center is not center when you add any strike plate to it. For me when I set up any bow I use enough material to have a arrow width to the left of the string when I center the string on the bow and look at my arrow. The center shot rule is not enforced, nor is the pistol grip. 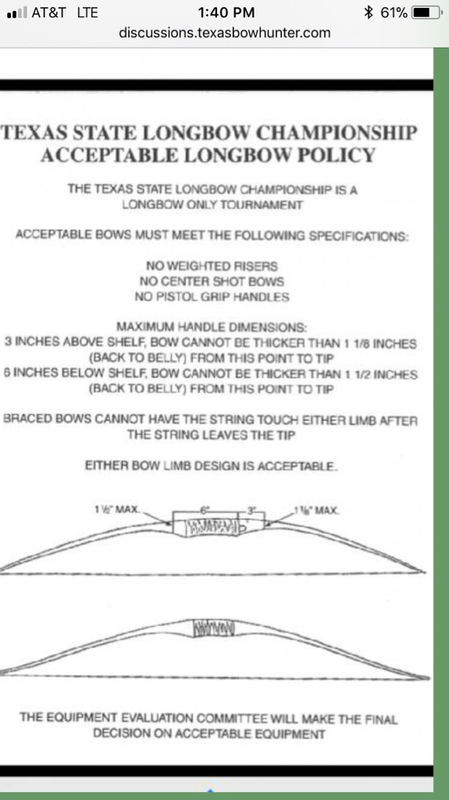 I spoke with David Sikes a few weeks back asking about the bow specs and he said as long as it fit in the jig (ie measurements above and below shelf) and the strings didn't touch the limbs when it was strung that its legal. I'd be willing to bet that 75% or more of the bows shot are center cut or cut past center. It is honestly the most balanced range of any I've ever shot all across the country. The mix of shots and shot scenarios would be extremely tough to match on any other range there is. That's good to know for next year. Is this the shoot that Shiloh misses one of the first targets to fool his competitors into thinking they might win? Then blows their doors off by day 2. Like a natural born hustler. Well I have never known Shiloh to purposely miss! But if true he still blows your doors off. Are laminated bows acceptable? Someone said wood...but does that mean all bows shot have to be selfbows? I reckon many takedown longbows are excluded due to riser thickness...? Good luck to all the shooters. No 3pc takedown bows are allowed at all!!!! I’m not sure about 2pc with a bow bolt, or similar takedown system? 2 piece bows are allowed as long as they fit the jig when assembled. Or so I was told! Is this referring to only wood arrows are allowed? Anybody who is not here is missing a great shoot!!!!! Dang! Hope you get over it! Or doesn't own a long bow . . .
That's your fault because you sold it!!! Scores if anyone is interested. Good course. Rub it in . . . I'll buy another but it'll be cut an eighth past center.